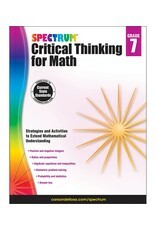 Build the confidence to apply math skills to everyday life with Spectrum® Critical Thinking for Math. 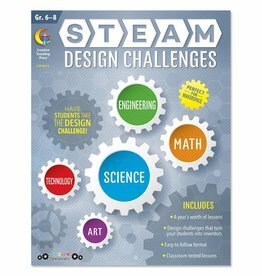 This workbook helps seventh graders develop problem-solving skills. 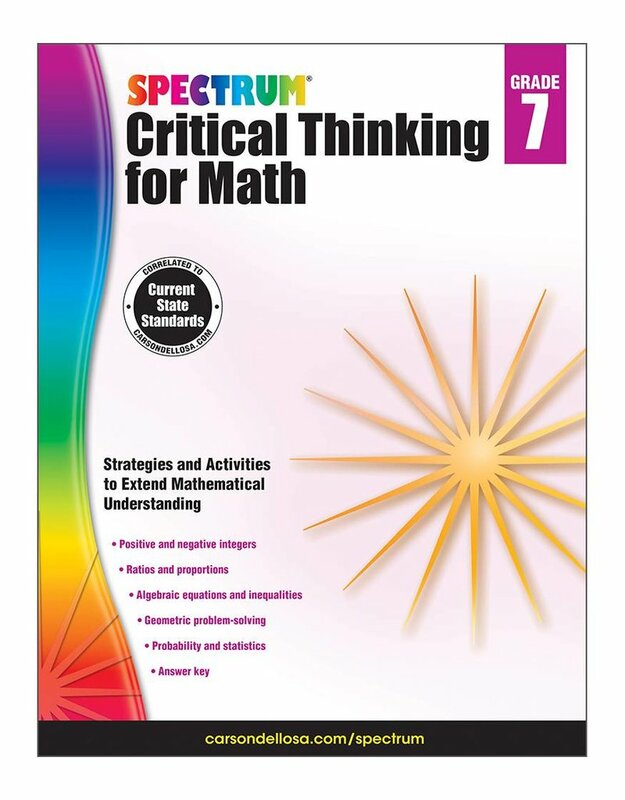 Applying math outside of the classroom is important for lifelong success—Spectrum Critical Thinking for Math ensures that your child is on the right path. Filled with problem-solving instructions, challenging word problems, tests, reasoning questions, and an answer key, this workbook has everything your child needs to learn, retain, and apply math skills for success. Spectrum helps students stay on top of skills and standards for classroom success. 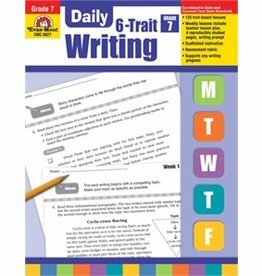 This award-winning brand provides comprehensive practice for various subjects, needs, and grades. From test prep titles to skill-building workbooks, Spectrum supports your child’s educational journey every step of the way. Each teacher resource book contains creative ideas and materials to enhance teaching. From classroom décor to thematic units to free-time activities, teacher resource books provide materials that you can use in your classroom. 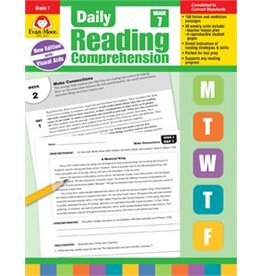 Help your seventh grade students learn how to understand, respond to, and enjoy what they read!